Dutch painter Adrianus Eversen (1818-1897) portrayed the typical 19th century Dutch atmosphere in his work. As a member of Arti et Amicitiae he belonged to the society of elite artists of his time. 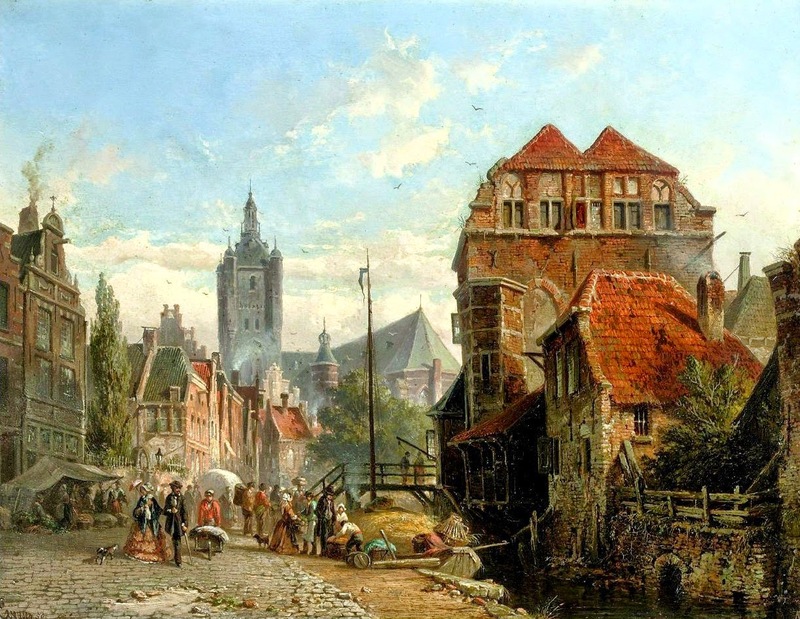 Eversen was a contemporary of Cornelis Springer. Both painters were students of Hendrik Gerrit ten Cate at the same time, and usually painted contemporary regional (Oud-Hollandse) cityscapes. In his choice of subjects, Eversen allowed himself more freedom. He painted mostly imaginary cityscapes, consisting of existing and invented fragments, unlike the more faithful representations of Springer. The everyday life of people, Dutch architecture, and the illumination effect of sunlight played a major role in his work. One of his descendants was the painter Johannes Hendrik Eversen.